← Thursdays are better – but There is SO MUCH TO ACCOMPLISH! Fridays as a Conclusion, but also a starting point. As we woke up – we knew we had an appointment with Ms. Zweibel, who would give us a critique on the magazine we did in 2012-2013, not judged because the category for print was not met due to problems with matching the design of layout between two different staffs, and meeting the hybrid deadline but not meeting the criteria exactly. This allowed us to regroup with her and line all the statistics in a row – with her giving us a detailed look on the goods, the bars, and the uglies of what we do in production, as well as a look at the pages we have created for the 2013-2014 magazine. We received tons and tons of tips that helped us understand the production side of what we were planning, designing, and developing as far as a theme and a organization of the Repentino.. Seeing our plans for 2013-2014 and hearing her say we had a Gold winner in our hands was refreshing, and we knew right there and then the growth of a staff that focused on weak points in the past has only become better. We were excited and the staff should be proud of the strides they have made so far. We were able to discuss these elements until 10:00 and were able to move onto our last workshop – then meeting in the lobby of Columbia for our afternoon direction concluding an amazing conference. A few of us would return to the WoolWorth’s building to meet Harlequin to pick up texts that would be given to us to review, then we would move onto Times Square for the afternoon. 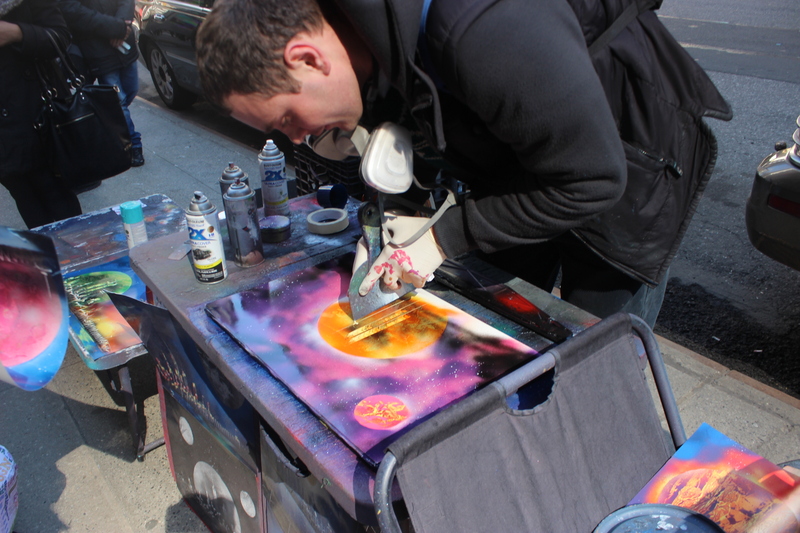 We ran into the intriguing Toys R Us in Times Square, then more Shamrock Shakes at McDonald’s, finding the intriguing paint can artist on Times Square, checking the Hershey store, and moving to Applebee’s to eat. 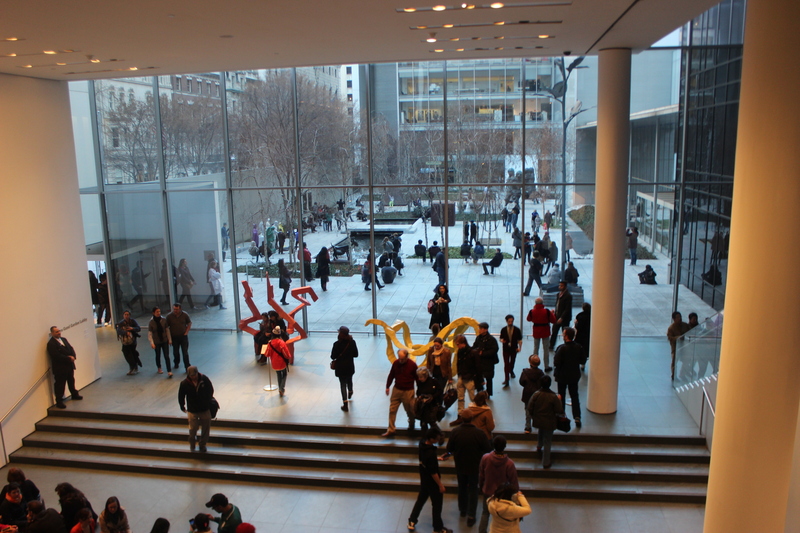 We then found ourselves meeting at the MOMA at 5:00 – it was free on Friday’s! 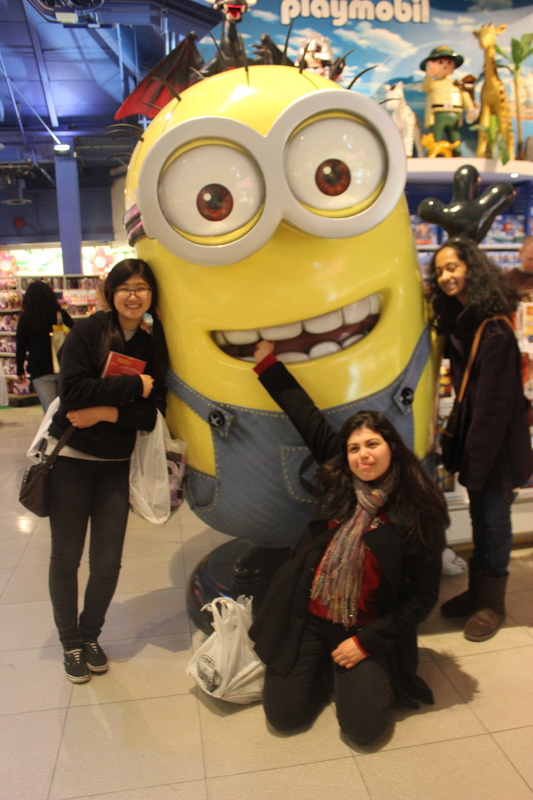 Our small group found ourselves in Applebee’s on Times Square, then onto the MOMA where we all checked in and began an adventure of amazingness. I had never, ever been in the MOMA, and was excited, it was one surprise after another, level after level. I grabbed the audio tour device and made it up to 40+ descriptions of art that simply blew my mind. I think funny, the most excited I was was seeing level 5, the Mexican Art of Frido and Diego Rivera, and hearing those around me exclaim “Diego Rivera!” and “Frida!” and knowing we had such a treasure of access here in Mexico. Seeing the classic Monet’s Picasso and EVERYONE just was an amazing way to end the tour, and even seeing the 6th level of special exhibits was great, but so much as seeing that 5th floor. WOW. New York at night, and in the MOMA, and just a great way to end the last full day in New York. As we all met in the lobby, we all knew we were exhausted, but made it to 116th Street, separated to eat and made it back at 10:30 PM to just get off our feet, get caught up with any check-ins with assignments, and look forward to a non rushing morning on Saturday the day our our return! This entry was posted in Uncategorized and tagged Hershey store, Kathleen Zweibel, MOMA, Shamrock Shake, Times Square, Toys R Us, Woolworth's Building New York. Bookmark the permalink.